L’Oreal sent me a few of their new metallics-inspired goodies from their L’Or Lumiere collection. This includes the Volume Million Lashes mascara I wrote about earlier this week, a super pretty powder I’ll chat about later on and these boys down below – Colour Riche ‘Chameleon’ Mono eye shadows (R99,95 each, Clicks and Foschini). Swatches from left to right are 602, 601 and 600. The big close up is of 602 as it suffered the least from pre-photography finger dipping and I’m wearing 600 on my brow bone. 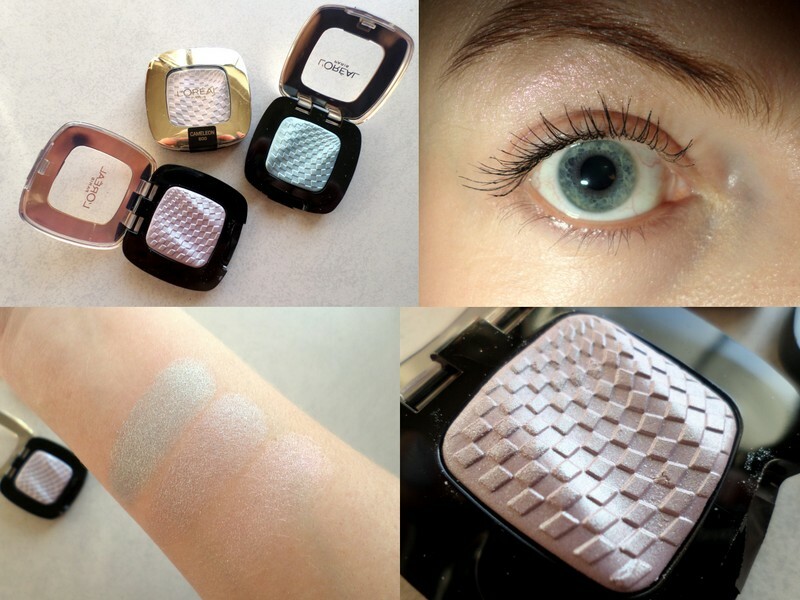 L’Oreal’s always done a stellar highlightery, shimmery kind of shade. To date I still mourn the discontinuation of their Holographic/Chrome/Platinum sheer shimmer shadow in Golden Rose, the perfect gold-pink brow bone highlighter. The reason for all those forward slashes, by the way, is that they released it under a zillion different names that varied from country to country. And I know this because, years after L’Oreal pulled the plug, I used to track it down on eBay and stock pile it. If I’m Gollum, it was totally one my preciouses. Anyhoo, the closest thing to Golden Rose in this lot is the pinkier shade of the bunch (600) which has found a new home in my make-up bag. Lovely stuff. Moving on, let’s chat about Olay’s Regenerist 3 Point Super cleansing system (R334,99). It’s sold in a box that contains a battery operated facial cleansing brush and Regenerist Skin Perfecting cleanser. The first thing I thought when I looked at this baby was ‘Ooooh, it’s like Olay’s answer to the Clarisonic!’ To be clear though, the two really are very different – the Clarisonic emits a zillion trillion sonic pulses and doesn’t actually ‘spin’, whereas this is exactly what Olay’s cleansing brush does to rid your face of dirt, make-up and grime. 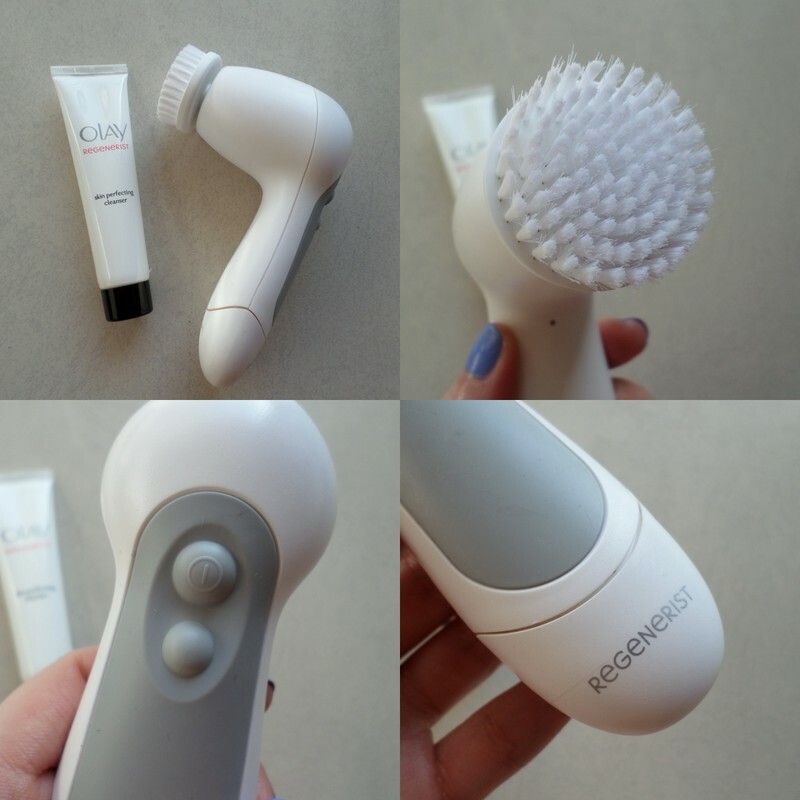 According to the brand, their brush rids your skin of 4 x as much dirt as another facial cleansing product (although they didn’t specify which one) to ensure your skincare products penetrate deeper into your skin. So, does it work? Yep, it does. It has two speed settings but I only use the faster one as I’m a hard guns kinda girl. The bristles are super duper soft so they merely create a lather with your face wash, be it Olay’s or otherwise, but it feels good and does the job nicely. While Olay reckon you should avoid the eye area, I’ve been going there anyway (what can I say, I have a live on the edges ethos when it comes to beauty) and have been running it over my tightly closed eyelids without any hassles – the bristles are seriously that soft. In all, if you’re looking for an interesting new way to cleanse (and very, very gently) exfoliate your face, this is it. I’m not sure if it provides a deeper or better cleanse than a cloth or sponge or even your finger tips when using a good facial wash, but using it sure feels fancy and lots of fun. Also, being water-resistant, you can totally use it in the shower. 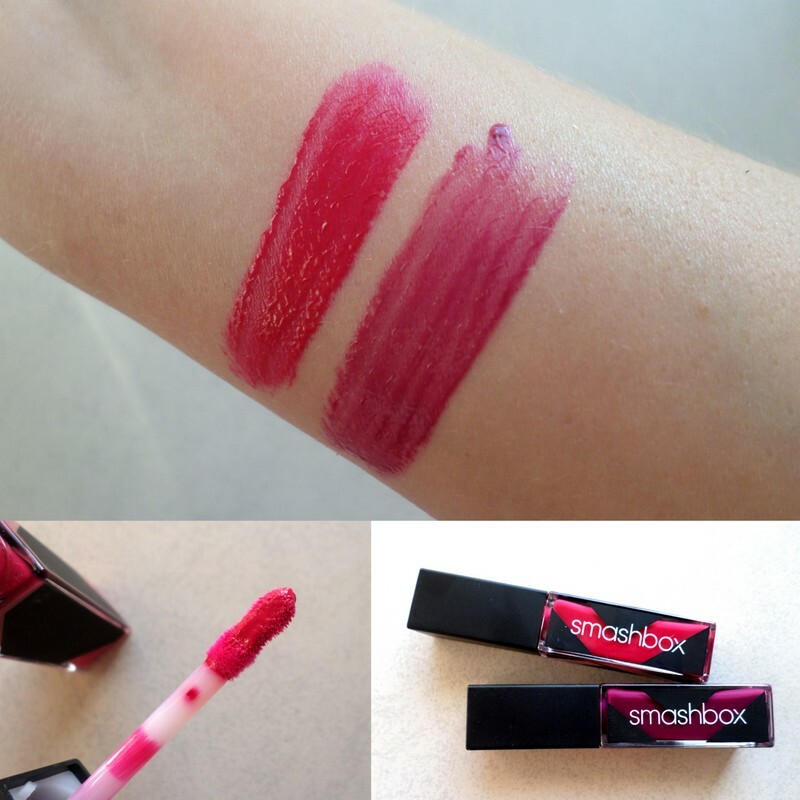 Last but not least, Smashbox have launched Be Legendary Long-Wear lip lacquers (R250). Each liquid lippie is non-sticky and lightweight yet grips lips nicely for a highly pigmented colour pop that lasts. Knock Out on the left and Beet It on the right. I like the curved doe-foot applicator – it makes slicking it on a breeze – and that the vitamin E-enriched colours have a nice, hydrating texture that don’t dry out your lips. While Smashbox says each lippie has a ‘staining effect’, it’s not really all that noticeable, so don’t snap one up looking for a lip stain. But if its a highly pigmented lip gloss that you’re after, chances are you’ll be impressed. Those L’Oreal colors are gorgeous! I want!